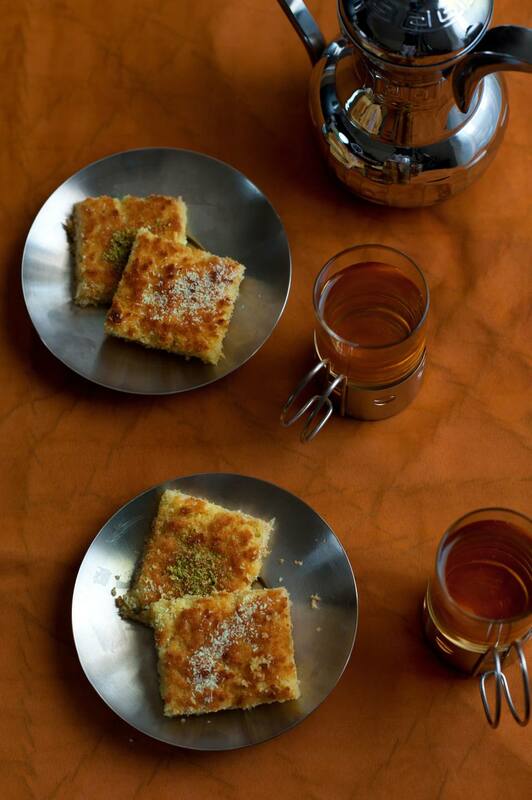 I love basbousa with coffee after a good meal. They are just enough to add that extra "umpf" to a meal. The syrup is not too sugary, but sweet enough to satisfy a sweet tooth. Note: while there are multiple steps to this recipe, this semolina cake dish is broken down into workable categories to help you better plan for preparation and baking. Add lemon juice and bring to a boil. Once the syrup begins to boil, add in honey. Reduce heat and allow to slowly boil for about 8 to 10 minutes. Remove from heat and set aside. Preheat oven to 350 F. Lightly grease and flour a 9-by-12-inch baking dish. In a separate bowl, combine semolina, baking powder, and baking soda. Slowly add the dry ingredients to the butter and egg mixture. Then, stir in the milk. Take a butter knife and make diagonal lines from left to right and complete to make diamond shapes. Place an almond in the center of each diamond. Have You Heard About Tahini Buckeye Candy?